For the first time in many years Amazon posted a loss in two of the last four quarters. The second quarter loss occurred despite a revenue increase of 22 percent over the same period — April through June — last year. The loss was small, $7 million on revenues of $15.7 billion, and Wall Street did not bat an eye as Amazon’s stock dropped less than two percent. Despite the financial losses, Amazon stock has gained 27 percent year-to-date, outperforming the overall market. When Amazon announces results for the quarter ending September 30, it is expected to report a loss of 9 cents per share. Analysts had been expecting it to bounce back to a profit. 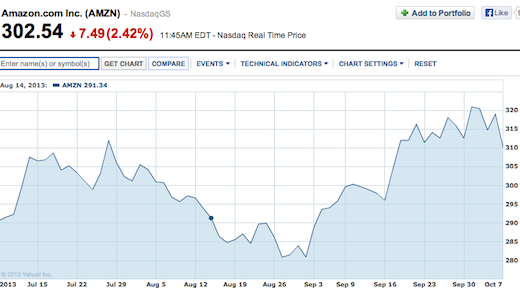 Amazon stock report provided by Yahoo. Why is Amazon unprofitable despite robust sales growth? It is the result of a purposeful strategy, not poor execution. The company is investing heavily in research and development. Spending has increased over 300 percent over the last three years. Most of the expenditures are for the Kindle, which Amazon has revamped from an e-reader to a fully functioning tablet. Amazon is also spending a good deal of money buying rights to streaming video content that is distributed through its Prime service. The company’s outlays for licenses to build a video library for Kindle customers reach into the hundreds of millions. Amazon can sell Kindle tablets at break-even or a loss because it makes money on digital downloads of books and movies. Pundits are predicting that Amazon is going to enter the hardware market with a set-top device that will compete with Roku and Apple TV. If Amazon does introduce a set-top box, it would be the first major company to offer an integrated video streaming and hardware package. The Wall Street Journal predicts the device will be available for the upcoming holiday shopping season. Amazon has also made some high-profile acquisitions over the years, including successful online shoe purveyor Zappos, online movie database IMDb, and most recently, Goodreads, a book recommendation site. Goodreads has been added to the latest Kindle devices. Amazon is also spending more on its workforce. It now has close to 100,000 employees; a year ago it had 69,000. These new employees are in warehouses and research and development labs. Amazon is not neglecting its ecommerce roots. The company is building more warehouses across the country. One reason is that it has negotiated agreements with states that wanted Amazon to collect sales tax on purchases within their boundaries. Amazon has managed to delay the collection by several years by building warehouses and creating jobs. However, the principal reason for the warehouse expansion is Amazon’s strategy to provide same day delivery in major cities and achieve a competitive advantage. The same day delivery is particularly crucial to the success of AmazonFresh, the company’s grocery delivery service. It has been operating the grocery delivery service in the Seattle area for a number of years, offering meat, dairy, and fresh produce in its own trucks, delivered the same day as ordered. This past June, Amazon began offering same day delivery service in the Los Angeles area, eight months after opening a new warehouse there. It is expected to expand to the San Francisco Bay area shortly. While Amazon does not break out its AmazonFresh financials separately, analysts believe that the Seattle service has never achieved a profit. 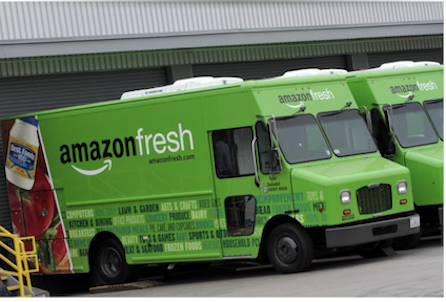 AmazonFresh trucks. Photo credit: Reuters. It’s clear that Amazon’s focus is growth and diversification, not profits. The undiminished support from investors will allow it to follow this path for the foreseeable future as long as revenues continue to grow. However, this strategy is not sustainable forever. The Kindle product line is sold at cost and produces no profits. The AmazonFresh grocery delivery service also has not turned a profit and its expansion will add more costs for vans and warehouses in some very expensive geographies. Groceries are a notoriously low margin business, where merchants depend on frequent inventory turns to incur a profit. In the early days of ecommerce, Webvan tried delivering groceries the same day. Though well regarded, Webvan went out of business because of ever increasing costs and logistical problems. 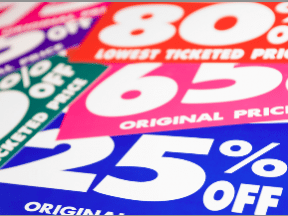 Few companies can continually sell products and services at a loss, even if they are subsidized by other more lucrative services. Amazon Web Services is reportedly the company’s cash cow but new cloud competitors are springing up every day and there are increasing concerns about cloud security and data privacy. Amazon’s core ecommerce business is also healthy and no other online marketplace can match its success. Amazon will likely have a stellar fourth quarter in terms of revenue but not turning a profit in this crucial quarter would likely diminish support from investors. 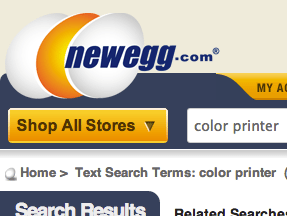 It will be interesting to see what happens in 2014 as Amazon continues its loss leader approach to business.